Build your wheels now with our new custom builder option. This process will allow you to choose your custom options online. Please contact us with any questions during your wheel building process. Kelson offers some of the highest quality wheel components for you to choose from when building your perfect set of wheels. Even if you are just looking for the right color wheels to match your bike a professionally hand-built wheel will make you happy. Kelson wheels are hand-built to the highest standards. Accuracy and uniformity of spoke tension will increase the life of your wheels. A wheel that is built of strong, high quality components can easily be damaged without uniform spoke tension. At Kelson considerable time is spent on the tension and true of each and every wheel. Spoke tension uniformity is 5% for most wheels. We incorporates numerous building techniques to keep your wheels true for thousands of miles. 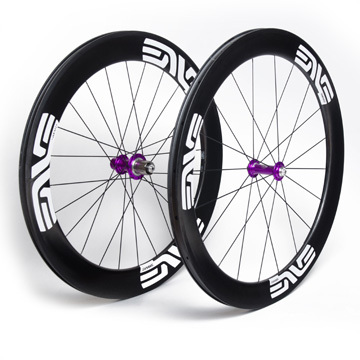 Similar to a custom built bicycle, custom built wheels are designed to meet the requirements of the rider. Variables such as rider weight, intended use, and riding environment should be considered when determining your ideal build. A 200 lb all- mountain racer will put a lot more stress on a wheel than a lightweight cross-country mountain biker. Both customers can have wheels built that will last many years. So let's start today with your custom wheel build.